Sorry to see you leave, but we hope to see you back in the future. Pax Humanitas aims at a better understanding between political systems, countries, political parties... Sharing and jointly promoting human values would boost the understanding greatly. Beautiful pictures and words full of meaning about life, society, peace, Nature, love.... Why not print some of them to hang up in your office or room? 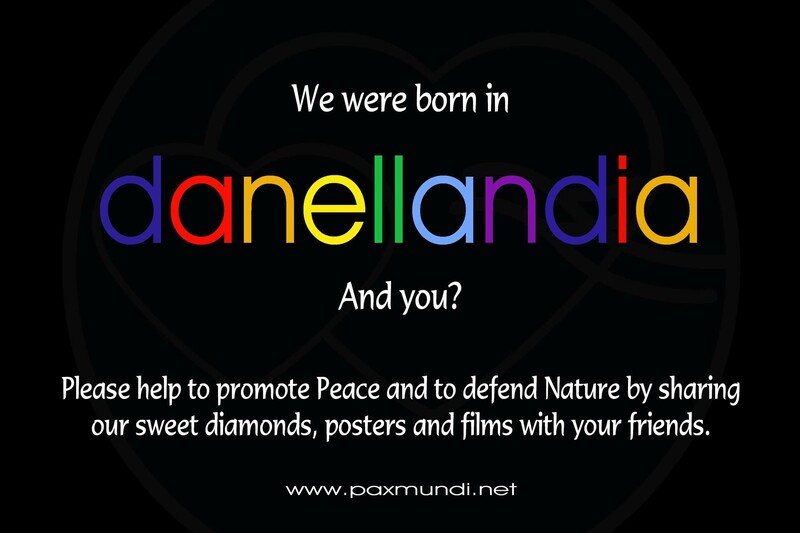 If you like Danellandia and want to help to strengthen peace or human values using the articles, projects and ideas published in Danellandia, you can register as a Danellandian or Peace Partner. Sweet diamonds are Danellandia's energy booster, a natural tonic that works from the inside and purifies the mind. They are short thoughts to make you think about life, yourself and your relationship with the world and Nature. United for the Survival of Earth. To survive, Humankind will need more than dead letter agreements, often called historical but in the end not changing anything substantial. Some can be called historical because they later proved to be disastrous.